masculinity « Tech bytes for tea? A nation-wide survey by Philips suggests that almost two-thirds of Singaporeans believe that society expects men to look good to succeed professionally. 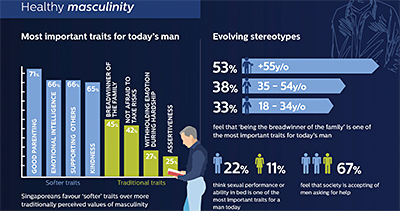 The survey examined the perceptions held by Singaporeans of the pressures of modern-day masculinity, and its relationship to men increasingly taking control of their lives with regards to keeping up with their appearances.